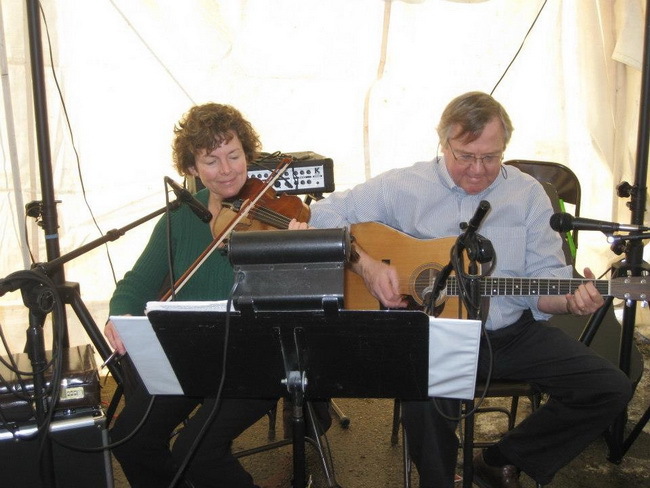 Patrice and Michael McLoughlin have been performing on violin and guitar for thirty-five years. While performing at many weddings, celebrations, and bluegrass events, their current concentration is traditional Irish and Celtic music. They performed with the Irish band "Poitin" for five years in the Fargo, North Dakota area, recording two CD�s 'Barley Mash' and 'Winter Brew'. They were featured performers in many Irish pubs and events in the Twin Cities of Minneapolis and St.Paul, including the Minnesota Irish Fair. They have also performed in Wisconsin, Vermont, Michigan and Florida.